CYO Outdoor Ministry: A Week for Wildlife! Camp Hamilton has been buzzing with wildlife sightings this week. 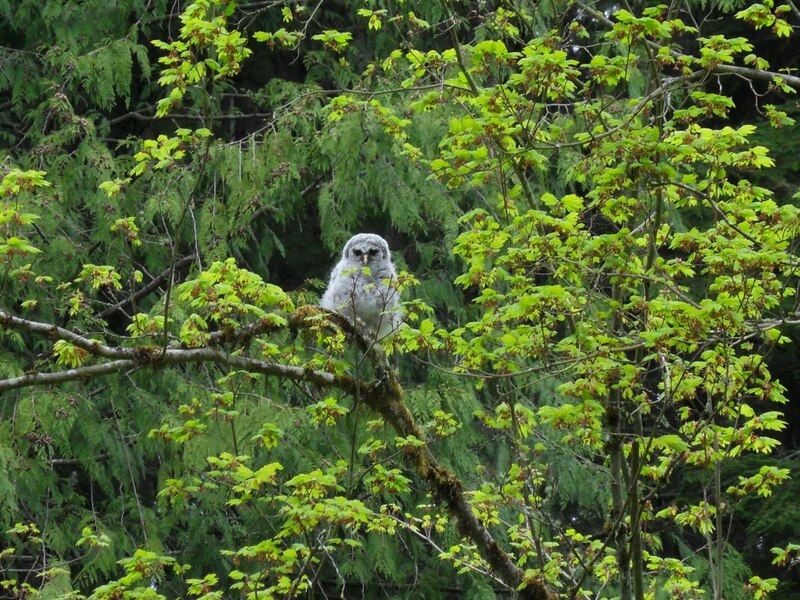 Students from Sacred Heart, St. Joseph in Vancouver, and St. Benedict have encountered White-tailed deer, a raccoon, and a young Barred owl while trekking around camp. 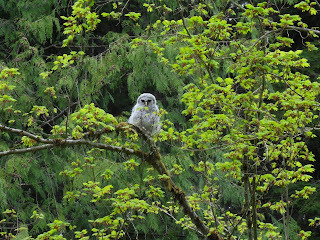 The Barred owl and its mother have been spotted in the trees just outside the doors of Discovery Lodge! The baby owl is spending its days climbing the trees, branch by branch, to strengthen the muscles in its legs and wings, muscles which it will eventually use to take flight! During evening reflection, a beaver swam away from the bog directly adjacent to the beach. Each student had a chance to see the majestic creature that formed Lake Hannan swimming just a few yards off shore. It was quite an awe inspiring moment. hey i was from st joes!! my name's tammy and was in Raul's group!! !